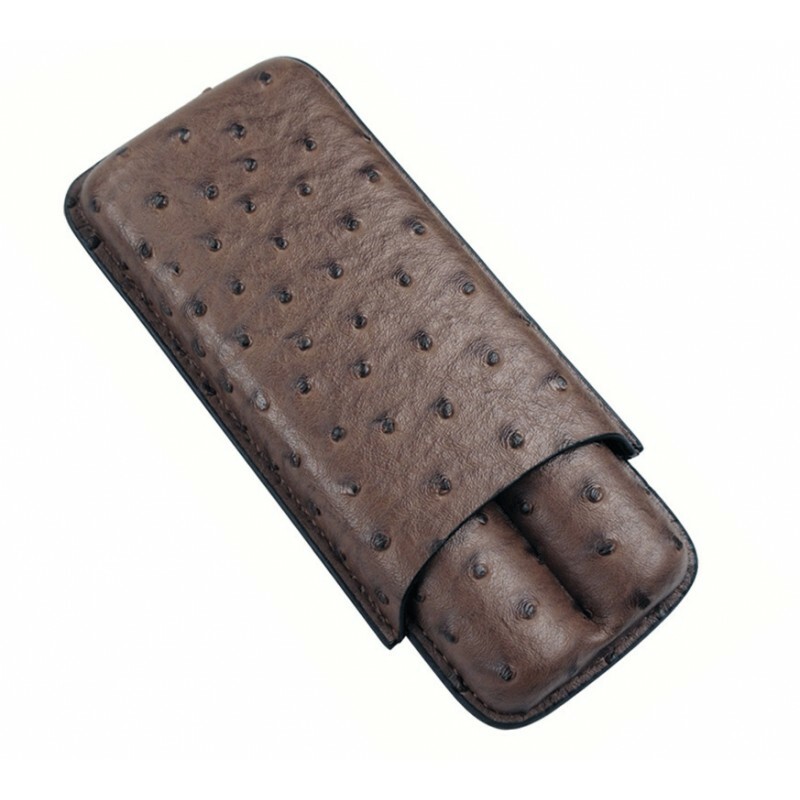 Hurry, just 12 more of these left at this price! This case is something you don't see every day. 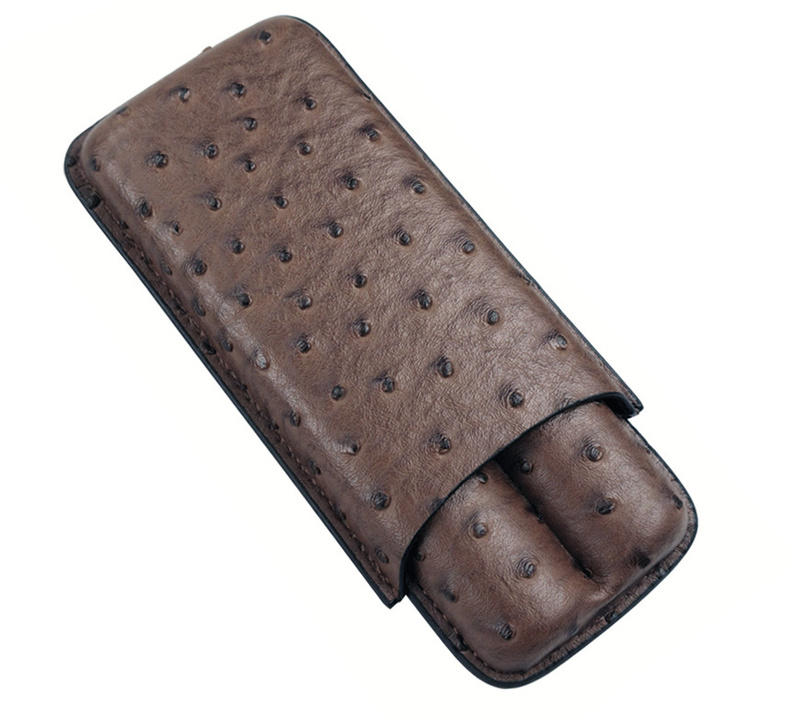 This sleek 2 cigar ostrich PVC leather case is portable enough to take along while traveling and rigid enough to help protect and preserve the freshness of your cigars. 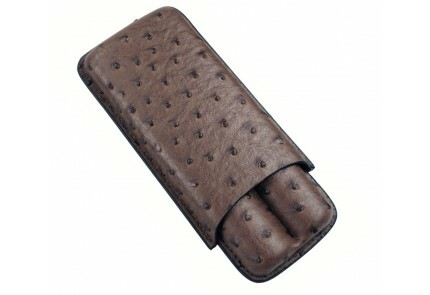 Comes in a rich dark brown finish.